I have some problem with dimensions. Probably the "OLD" Dimension is manipulated manually. 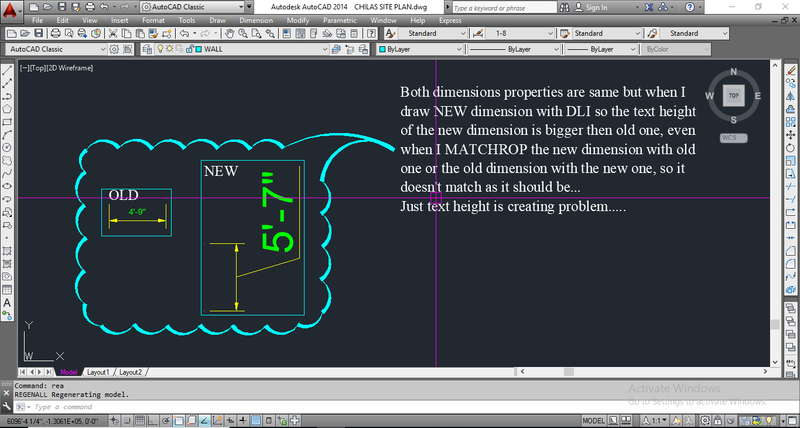 Check the text size of the OLD Dimension via properties pallet. Adjust the height when preferred. or upload the drawing to make it easier to solve the problem.